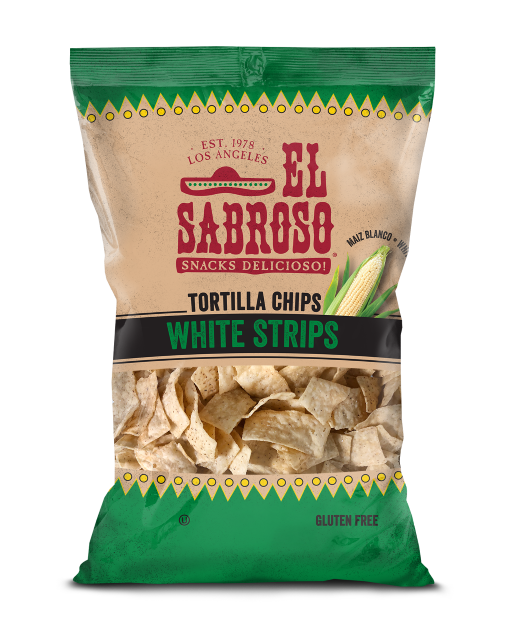 El Sabroso® White Corn Tortilla Strips are light in texture, crispy and feature the perfect touch of salt. Serve them alongside your favorite salsa, queso or guacamole dip or simply eat right out of the bag. El Sabroso ® Snacks Delicioso!